Here is the perfect boat to expand your cruising grounds. The Marshall 22 is a rugged, sea-kindly boat with classic looks that will turn heads in any harbor. Her two foot draft will let you access anchorages and coves that are off limits to most cruising sailboats. The M-22 is roomy enough for a family of four and simple enough for a couple to enjoy a relaxing weekend away from home. An elegant daysailer, the M-22 is also a capable long distance cruiser. Many of her owners have sailed their boats from New England to Florida and even as far north as Greenland. Accommodations below compare to those found in most 30-footers. 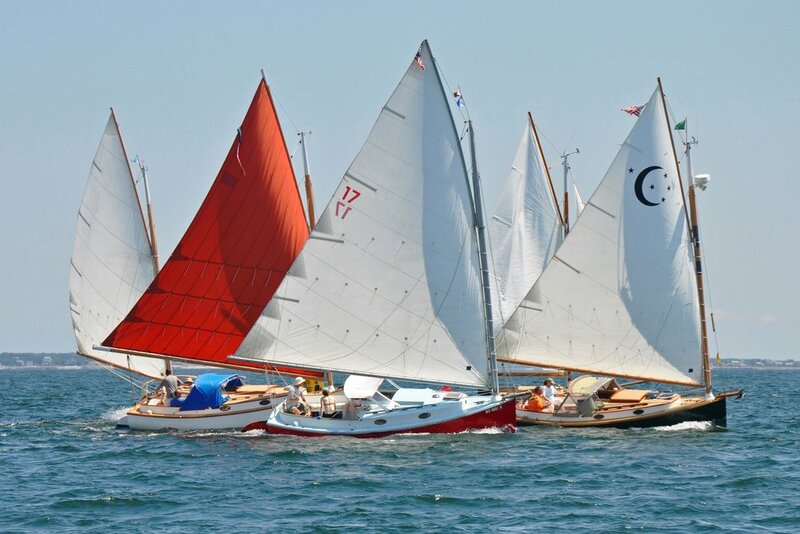 For those preferring greater sail area and more sail handling, the traditional look of the sloop rigged version of the M-22 has proven popular. Cruiser or daysailer, cat or sloop rigged, let us work with you to customize a boat that will satisfy your sailing needs. 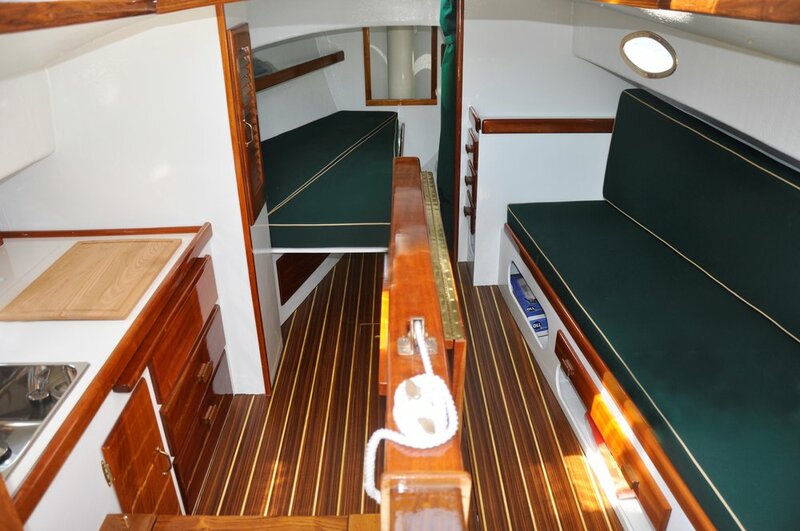 Our Catboat hulls and side decks are solid fiberglass with an integral centerboard trunk. Foredecks, cabin tops and transoms are reinforced with closed cell foam. White hull is standard, with deck and cockpit color choice of buff, bone, white or gray. Cabin sides on the Marshall 22 are white. Bottom is painted with two coats anti-fouling paint. View our Marshall 22 photo gallery.